Cold mornings, cool nights, football games, and hot chocolate...Fall is in full swing. The leaves are turing and the layers of clothing are starting to come out. But some days it is still in between cold and deciding if you want to sweat all day in the perfect outfit you just cannot wait to wear . 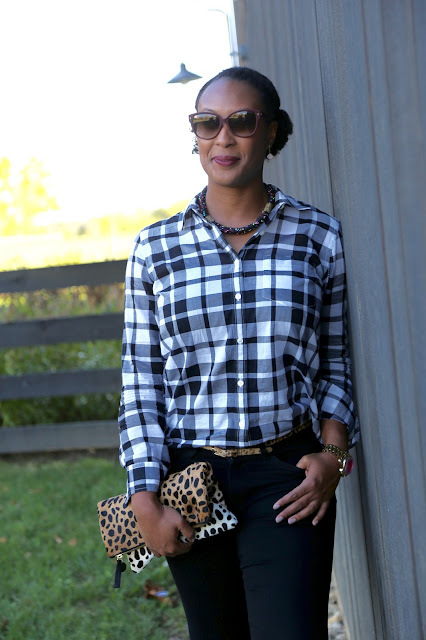 So lately I have been choosing what I would call a fall alternative outfit. It is cool enough to let air in but you are covered up if that blast of cold comes through. 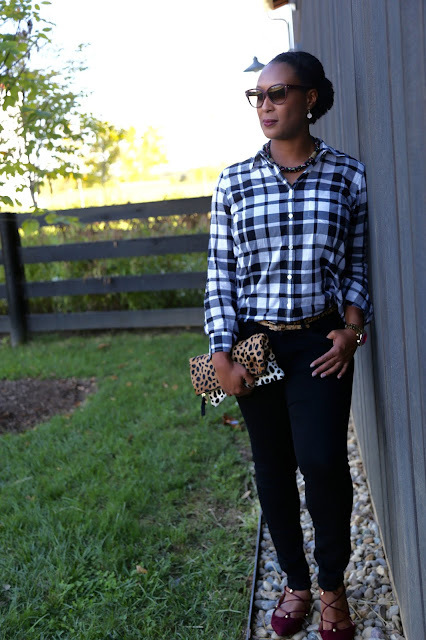 I paired skinny jeans (here), which are great for cold or warm weather, with a light long sleeved button up (similar here), along with open suede flats. 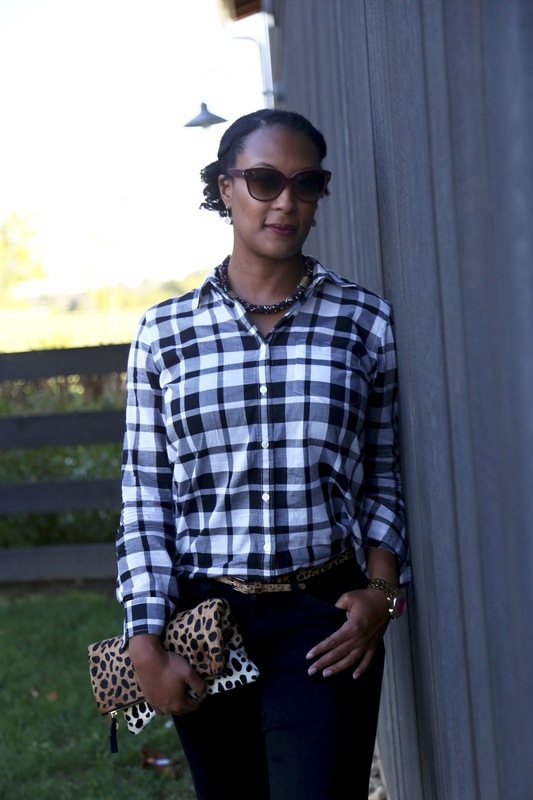 I accented this outfit with leopard (clutch, belt), and a necklace and sunglasses to finish the look. What is your favorite fall alternative outfit? Shop mine below.